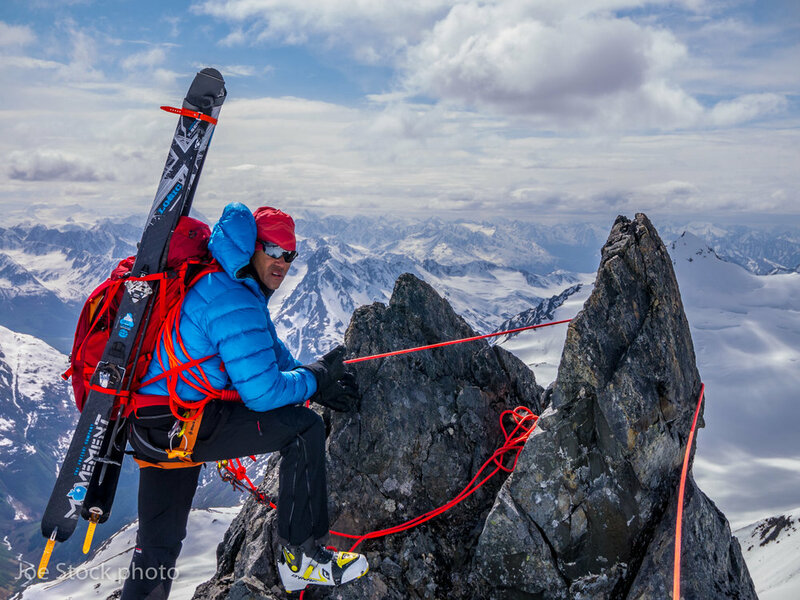 Ski mountaineering combines two huge skill sets: mountaineering and backcountry skiing. We learn techniques to avoid both avalanches and a fall in steep terrain or into a crevasse. We bring a rope to help manage this exposure, and we learn how to use the rope. 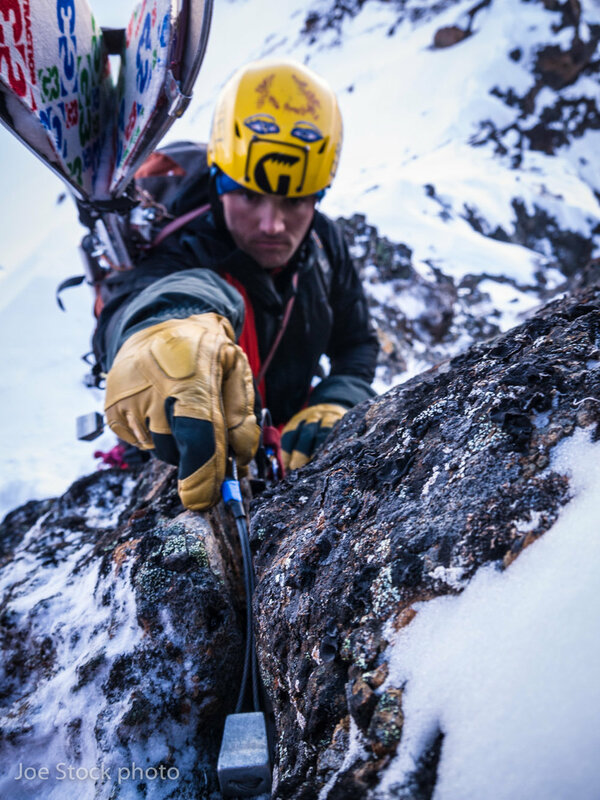 The skills we'll learn are set by the AMGA, IFMGA and the American Avalanche Association. Since ski mountaineering covers vast skill sets, it helps to focus your interests. Please see the style and skill sets below. See Ski Mountaineering Course posts. Intermediate to advanced alpine (ski area) ability. Fitness for full day(s) in the mountains. Recent avalanche rescue practice. We will have assessment and review before our tour. Rec Level 1 Avalanche Training is recommended. The purest form of ski mountaineering. Moving from camp-to-camp, traveling light, as a self-contained unit, and skiing lines along the way. 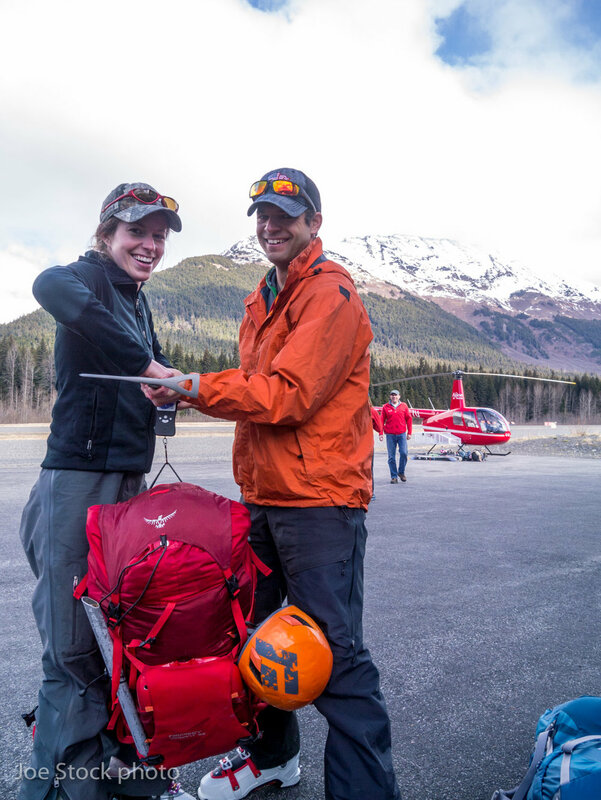 A popular option is to helicopter up from Girdwood, move camp to camp for several days, then ski out to the road at the end of the trip. A high fitness level is required. Joe's favorite of course! A popular option is to start the trip with a 15-minute helicopter ride from Girdwood up to the high Western Chugach. We'll then ski out to the road. We set up a base camp by flying or hauling a heavy load in a short distance. From the base camp, we'll venture out each day with a small pack to learn skills. Base camping excludes the difficult and vast skill set of traveling light while moving camp-to-camp. We can venture out each day from Girdwood for day trips. Solid ski ability are the foundation of ski mountaineering. Dial these skills at the resort in the years before our trip. We can cover/review skills including track setting, communication, navigation and downhill terrain management. A level 1, or preferably level 2 avalanche course is highly recommended before this course. At the minimum, we will review companion rescue on the first day of the course. The essence of ski mountaineering. We focus on staying comfortable while keeping pack weight low by leaving unnecessary gear behind, bringing multi-purpose gear, and selecting calorie food. Light camping is more difficult than you think. We learn roping together, prusiking and the haul system; but the real focus will be on avoiding crevasse falls in the first place by reading the glacier, good rope management and good communication. We learn to climb and descend steep terrain using the rope. 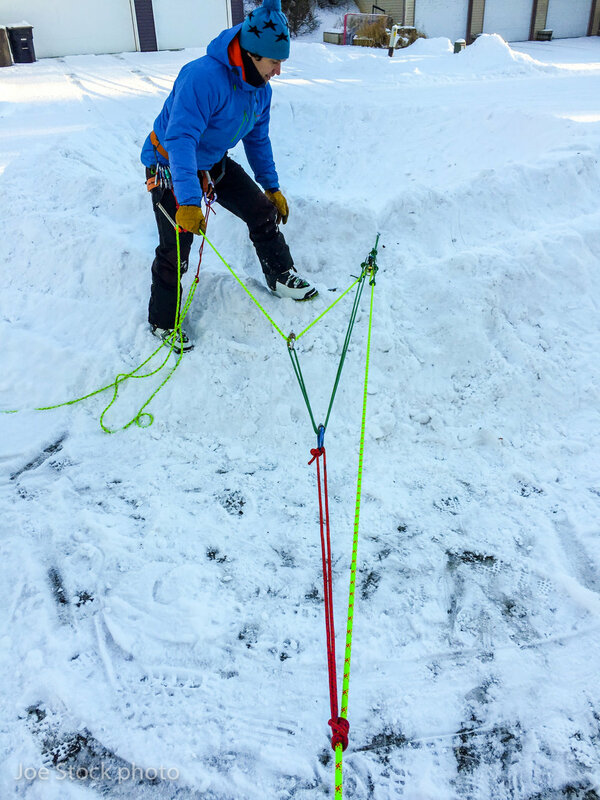 Skills include snow and rock anchors, belaying, skiing on belay, rappelling, crampon and ice axe use and climbing techniques. Day 1: Morning in town for trip prep. Afternoon for moving to camp. Day 2: Glacier travel skills. Move to a new camp. Day 3: Alpinism skills. Move to a new camp. 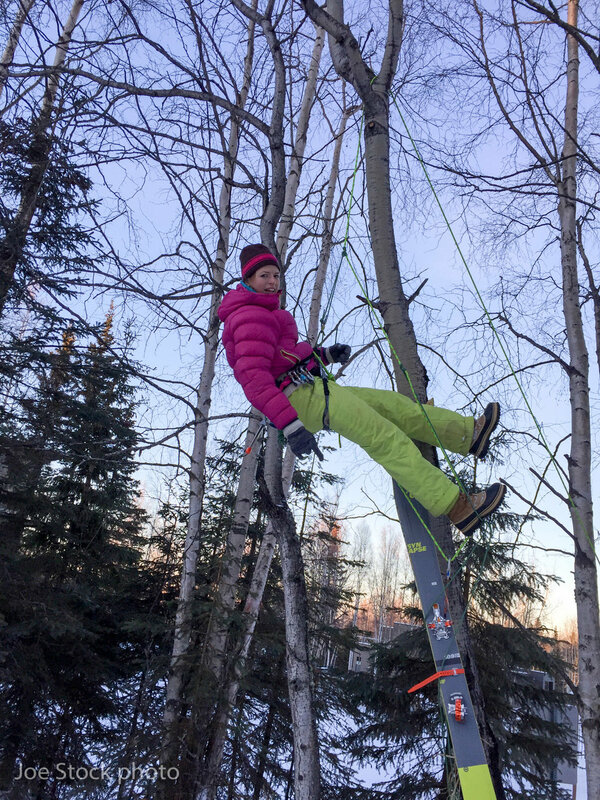 Day 4: Applying the skills while ski mountaineering out to the road. — Rob Lynch, Ruth Glacier Mountain House prep course. 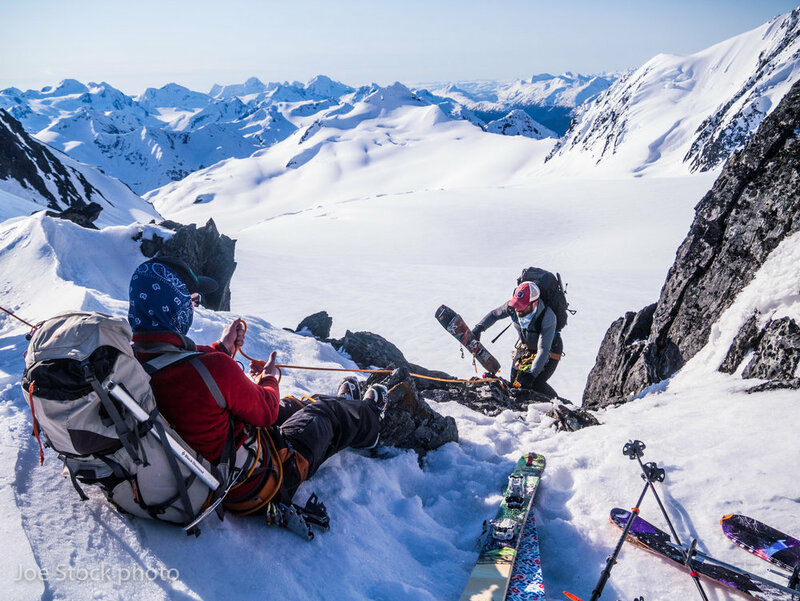 — Scott Wood, Chugach ski mountaineering camp to camp course.